The Audi R8 LMS body for Kyosho Mini-Z RC cars is designed for use with 98mm AWD Mini-Z chassis such as MA-10 or MA-20 and is not intended for MR-02 or MR-03 RWD Mini-Z models, even though it will fit on them as well. When using the Audi R8 LMS body with a rear wheel drive Mini-Z RC model you will notice that the side body clips are not fitting tight over the chassis like they do on the AWD chassis. 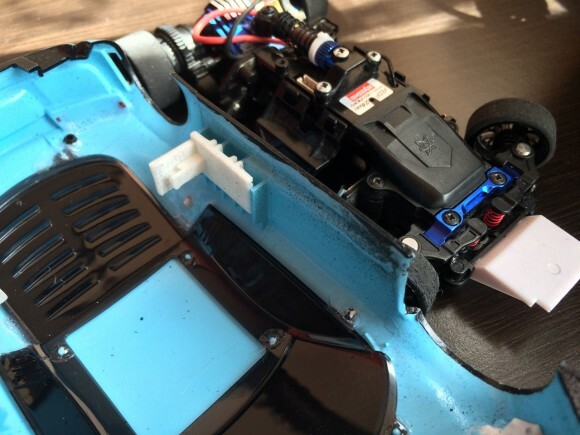 We have addressed this issue with a custom 3D printable side body clips for use of the Audi R8 LMS body on MR-02 and MR-03 chassis removing the chassis play inside the body. We are already using these on a Mini-Z MR-03 chassis with Audi R8 LMS body and our 3D printable body clips work great. 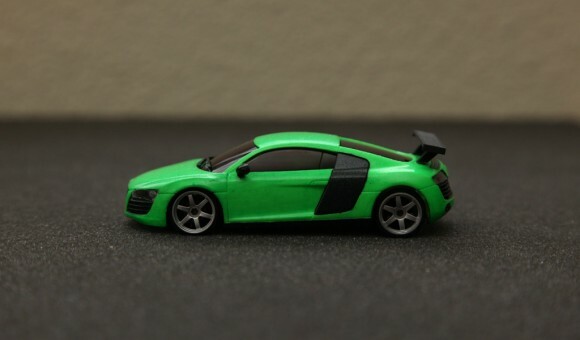 We like Audi cars and already have our AWD and RWD Kyosho Mini-Z models fitted with Audi R8 LMS bodies, but we also wanted to get the smaller Kyosho dNano model to look the same. The only body for the dNano is of an older Audi R8, not the LMS version that is available for the Mini-Z, so we had to improvise a bit and as a result we have designed a simple wing to mount on the dNano Audi R8 body. It is not an exact replica of the rear body wings found on the larger LMS bodies, but we like it and it looks cool. Do note that the dNano wing is designed to be glued on the body as it is quite small to use screws to mount it. The 3D printable dNano wing is designed for the Audi R8 body, but you should be able to scale it a bit to fit other dNano bodies if you wish to add a rear wing to them. 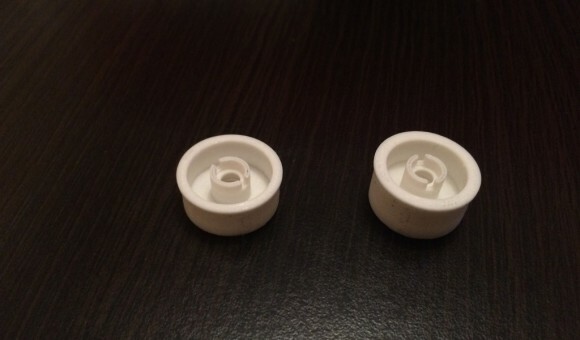 Just a quick try to make usable 3D printed wheels for Kyosho Mini-Z RC car, these are for MR-02 or MR-03 models, will not fit on AWD. Standard wheels with 0 offset, front and rear wheel. Do note this is a work in progress as it needs a little bit of fine tuning on the inside where you place plastic bushings or bearings. You need to print with finer resolution such as 0.1mm for best results and use support material for the inside to print well.